A full 20 ozs. of polyester fill ncased by a softer, quieter nylon cover. 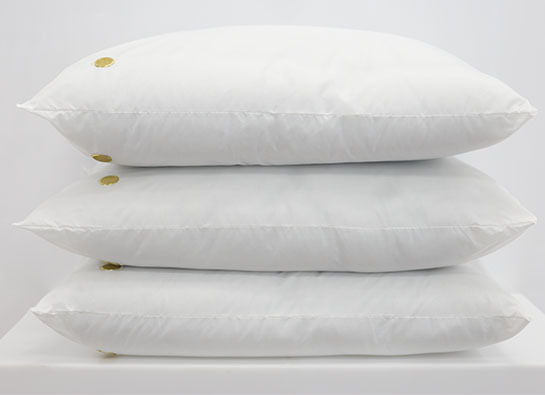 Brass grommets let this pillow breath and stay full. May be wiped off with disinfectant.